Mum and I popped into town the other day and I bought more than expected. I finally gave in and bought the Bourjous chubby stick dupes – I couldn’t pick one colour so I went for three, but 3 for 2 offers make it ok right? RIGHT?! I then also slipped up (not literally) and bought 3 more Barry M varnishes, I wanted the orangy red shade ‘Satsuma’ and accidently found another shade which I didn’t have, and of course had to get a third free in the offer. I popped into Primark to get some more hairbands and also found some of these butterfly clips whih are always handy. 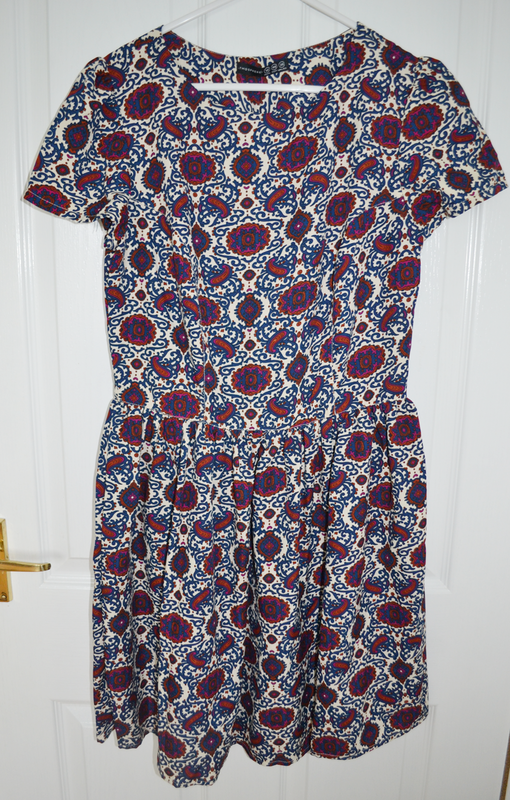 I also got some of the cute frilly socks and then found this gorgeous print dress. Unfortunately I got it in a size 12 (boooo!!) So I’ll have to go and change that, hopefully my size will be in stock! Finally we went to M&S to get my mum’s friend a prezzie and I noticed these pants because they were such a pretty colour. They’re a size bigger than me but they were reduced to a pound so I went for it anyway. Look at me guys, living life on the edge over here!! I’ve also added in this belt from NEXT that I bought online in the sale, it just took aaaagess to arrive!